Jesus loved to eat. Not only did he declare “all foods clean”, but He also loved eating with people. He ate with people a lot. Throughout the four gospels there are accounts of Jesus eating with his disciples, friends and family, as well as tax collectors and sinners. 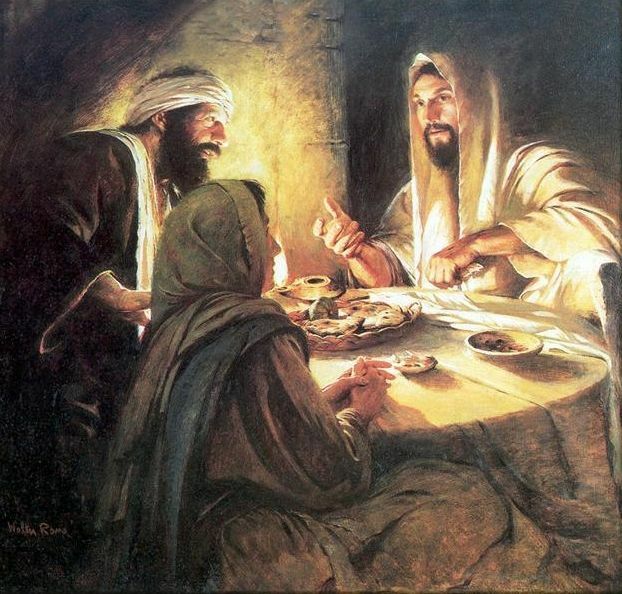 Jesus ate with people in their homes as well at His outdoor gatherings. Eating was a big part of Jesus’ ministry. One of the first things that Jesus’ does in Mark’s gospel is eat with Levi at His house. At the end of John, Jesus reinstates Peter over a seafood dish. Astonishingly, we see Jesus inviting himself over to people’s homes a lot. We see him going over to people’s houses and having meals in their homes. In the gospel of Luke alone, there are ten instances where Jesus is eating with people as a part of his ministry, seven instances where he is at someone else’s home. Jesus’ willingness to enter into people’s homes, to sit at the same table, to eat the same food, was a willingness to enter into people’s lives. This was Jesus’ missionary spirit. As God-incarnate, not only did He become flesh, but He also experienced hunger and taste and fullness. Jesus went out of His way to be like us, to experience what we experience and to feel what we feel. A willingness to share a meal with someone at the dining table is also a willingness to extend friendship towards another person. Jesus came and was determined to be friends with us. As disciples of Jesus, do we have the same willingness to enter into people’s lives? We should imitate Jesus’ willing spirit to enter into the lives and worlds of other people, people much different from ourselves. We should imitate Jesus’ initiating heart to be the first to travel and to accept the hospitality of others while bringing the gospel to them. You can imitate Jesus’ ministry today by going on a One Year Challenge. Be willing to enter into people’s lives for the sake of the good news one meal at a time!